An account of the customs and manners of the Ainos, the aborigines of the Hokkaido may be of interest to the reader who is still not familiar with them. The number of the Ainos scattered over Hokkaido has remarkably decreased and is less than 20,000. They live in groups of 20 to 40 houses in scattered districts on the island. In spite of ceaseless efforts on the part of colonial government and each prefectural government on their behalf, they nevertheless show no sign of benefiting from the care taken of them. They are an indolent, improvident race. Both men and women are addicted to drinking and appear to regard anything done for their benefit as a nuisance. The male Ainos drone away their time and do nothing at most but hunting and fishing. The women are more inclined to labor and industry and curiously enough the female birthrate gets the better of that of males. Bear hunting best characterizes their courage, but the present scarcity of bears on the island barely rewards their efforts to catch enough to meet their drinking expenses. Ainos keep themselves very dirty and never care to utilize the bath accommodations furnished by the colonial authorities. The hair is held sacred by them and they naturally are not willing to part with it. Most of the Ainos tattoo the parts of their faces above and below their mouths, at ages ranging from 12 to 20, by their own hands. And it is interesting to note that some women are clever in the art of singing “Naniwabushi,” a type of historical and romantic song popular among Japanese. Dr. M. Gordon Munroja later discredited some of the details mentioned in this report. The United States War Department has admitted the fall of Manila in a war communique, adding, however, that resistance of U.S. forces in the Philippines has not been hampered in the least. U.S. and Philippines forces have formed strong defenses to the north of Manila and are guarding the fortifications in Manila Bay to prevent their falling into Japanese hands, the communique stated. With the occupation of this city by Japanese forces, all Japanese residents — about 15,00 persons — were reported safe today. The Army Department of the Imperial Headquarters at 9 a.m. on Wednesday announced that Imperial Japanese Army units have been entering the city of Manila, capital of the Phillipines, in rapid succession since yesterday afternoon. Manila was the site of arguably the bloodiest battle in the Pacific theater of World War II, with Japanese troops massacring an estimated 100,000 civilians. One bedroom for one person is possible in Tokyo by 1985, the Metropolitan Government said Wednesday. In a survey titled “Tokyo in 1985” that was released Wednesday, the Metropolitan Government said such a housing dream for Tokyoites can come true under a vigorous program backed by heavy capital outlays of the central government. The new image of Tokyo, drawn by the Metropolitan Government’s Planning and Adjustment Bureau, also said the city population would grow to 13 million by 1985. But, it added, Tokyo by then will have no problems such as a rush-hour jam for commuters, water shortages, street traffic congestion and smog, let alone tight housing space. To realize this dream, the city said it would need ¥23 million from the state Treasury, cooperation of outlying prefectures, vigourous planning and severe legislative measures. It envisioned that, by 1985, annual income of Tokyoites will swell to ¥1,140,000 per person with one out of each three persons driving an automobile. By 1985, it said, Tokyo’s population will consist of 4.3 million families comprised of three persons each, with the city becoming the center of industries requiring high-flung technology such as printing, publication and electronics. Tokyo workers will retire at the age of 60, with his working hours trimmed to 40 hours or five days a week and his income averaging ¥1,140,000 a year, a figure which is three times that of 1964. In spite of all these promised benefits of a modern city life, however, jet noise, fire and traffic accidents are expected to increase, it said. U.S. President George Bush collapsed in the middle of an official banquet Wednesday night and returned early to the Government Guesthouse in Tokyo’s Akasaka district. While the dinner was proceeding, Bush slumped in his chair and was asked by Prime Minister Kiichi Miyazawa how he was feeling, according to reports. NHK showed pictures of Bush then appearing to fall sideways from his chair. Bush regularly jogs and plays tennis and golf. He is on the final leg of a 12-day trade mission that took him earlier to Australia, Singapore and South Korea. Chief Cabinet Secretary Koichi Kato said that Bush fell ill about 40 minutes after the start of the banquet and vomited a little. Bush was helped to his feet after lying on the floor for several minutes. He smiled and appeared pale as he waved to other guests before leaving the banquet hall. Bush earlier had complained to the doctor of feeling ill but said he wanted to go on with the dinner, White House spokesman Marlin Fitzwater said. “I wanted to get a little attention,” Bush reportedly joked after rising from the floor. In this feature, which appears on the first Sunday of each month, we delve into The Japan Times’ 119-year archive to present a selection of stories from the past. This month’s edition was collated with the assistance of Sierra Vaughn. 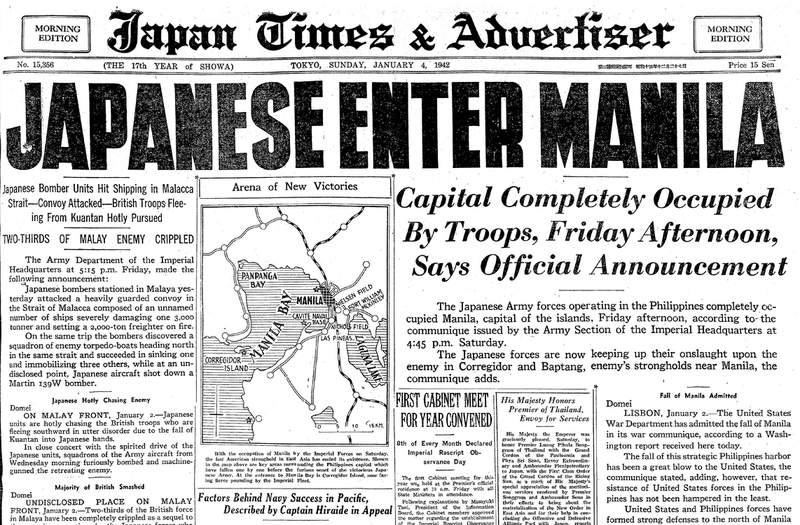 The Japan Times’ entire archive is now available to purchase in digital format. For more details, see jtimes.jp/de.